Enter your registration and mileage to get a free valuation for your vehicle. Below is a useful guide to help you understand how much tax you will pay and why. For vehicles registered before April 1st 2017, the amount you pay for the first 12 months is based on CO2 emissions. You can find out the emissions rating for this vehicle by clicking on the Technical Spec tab. For vehicles registered after April 1st 2017, the payment when it's first registered will depend on CO2 emissions, thereafter the cost will be a standard rate dictated by the type of fuel the vehicle uses. A higher rate is charged on diesel cars which do not meet the Real Driving Emissions 2 (RDE2) standard for nitrogen oxide emissions. Please contact us if you're unsure whether this applies to your vehicle of interest. The above payments cover the vehicle for 12 years. The amount you pay each year after that depends on the fuel type of the vehicle. All our approved used cars come with a warranty*, so you can buy with confidence. All of our approved used cars undergo a thorough 100 point safety check, so you can be sure that your car is safe, roadworthy and genuine. Plus, all of our approved used cars will be HPI checked. For more information on our Used Car Warranty, click here. *Please note this applies only to vehicles above £2,500. 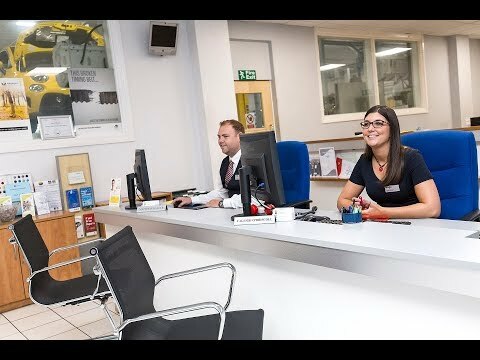 At Wilsons, the admin fee pays towards the preparation of your new car, to make sure it’s safe and immaculate when you drive it away. This fee covers a Full HPI and Mileage Check, MOT (if less than 6 months left of current MOT), Servicing, Full Valet plus any Bodyshop work should it be needed.